Active Hastings Week is a week dedicated to the health and physical activity of our community! There are many things going on throughout Hastings and a variety of events! 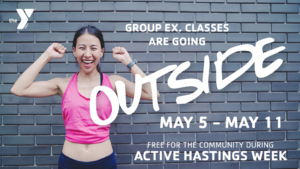 This year the YMCA is offering free outdoor classes to the entire community in various locations in Hastings!